Making your FastPass+ selections can be a daunting task as you try to build your itinerary for your upcoming Disney trip. And if you're traveling with toddlers, the task can be even more confusing. 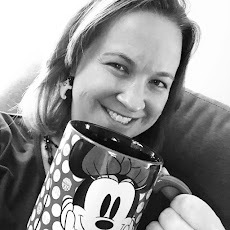 After living through FastPass+ with a toddler on our last trip, I have a few pieces of advice to offer that may be beneficial to your family. First, FastPass+ reservations are not limited to rides. You can also use these FP+ to book experiences and shows as well. Since Brody was too little to ride some of the most popular rides in the parks, we booked some of our reservations for premiere seating to fireworks and parades. The idea behind this was that we wouldn't have to seek out prime seats 30 - 60 minutes prior to start times, but rather we could walk into our reserved seating just before the show began. 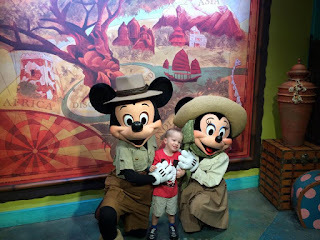 We used FastPass+ for some character meets in the parks to avoid long lines with a not-so-patient toddler. If you are going to use your FastPass+ reservations for rides, check out feedback from other parents or sites like Touring Plans and the Disboards for the best ones. For example, in Hollywood Studios, you'll want to grab a FastPass for Toy Story Mania and, in Magic Kingdom, Peter Pan's Flight is a must. Don't waste your FastPasses on rides like It's a Small World. Even though you'll probably ride this several times with your toddler, the line is rarely long and isn't the smartest use of your FastPass. Lastly, don't be afraid to grab some "adult" rides for your FastPass+ reservations too. Walt Disney World offers a Rider Switch option for adults traveling with young children. In simple terms, one adult in your party can stay with the small child while you ride, then you can switch places without having to go to the end of the line. Personally, my husband and I have not used this before. On our last trip, I was 7 months pregnant and my husband has had neck / back problems for a few years so riding the thrill rides was not something we were interested in doing. Remember that FastPass+ is just one tool you can use to help with the advance planning of your trip. During your trip, things may not always go as planned and that's OK. Make smart, informed FastPass+ choices, but be willing to be flexible in the park too if the needs of your toddler that day don't fit into your particular schedule.